The forty fifth season of the FIA's World Rally Championship begins with Rally Automobile Monte-Carlo, running 19-22 January, not only the opening round of the 2017 season but the first appearance of a new formula of rally cars, the powerful and dramatic looking 2017 version World Rally Cars. Another major interest is the return of Toyota to the world championship, absent from the series since 1999 but sadly the championship will not include Volkswagen, champions for the past four seasons. Each of the four registered WRC teams will run either two or three new formula cars. The Monte Carlo Rally this year follows a similar format to recent years. There will be no normal team presentation at Gap on the Wednesday. After promotional presentations on the Thursday the formal start of the event will be held in the Principality that evening. The crews then head inland towards Gap, location of the Service Park and is the location for the ovenight halts on the Thursday and Friday. The new style reverse running order for P1 drivers starts on the Saturday morning. The rally then heads back to Monte Carlo on the Saturday after the final service opportunity in Gap and finishes with stages in the Alpes Maritimes on the Sunday morning after the PowerStage which will provide the new increased championship points. The individual stages are largely well known. On the Friday the group of stages north of Gap include a completely new venue, run twice, while some other stages have been amalgamated, given detail changes or are run in the opposite direction. For the teams there is one major help this year in that no servicing will be carried out at Monte Carlo and will only be carried out at Gap. Total stage distance is 382km, total rally length is 1411km. 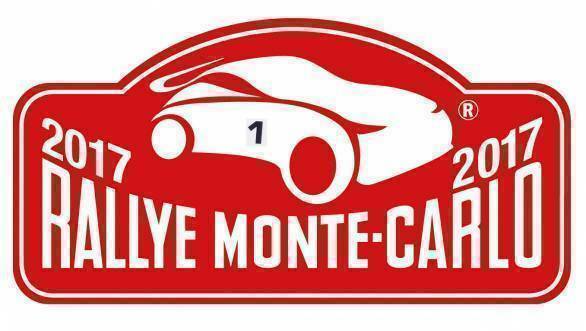 The entry list for Rallye Automobile Monte-Carlo names 75 crews. There are ten entries for 2017 WRC cars (three entries from M-Sport and Hyundai, two from Citroen and Toyota Gazoo, with 2016 specification cars entered for the Citroen driver Craig Breen and an entry for Jourdan Serderidis's Citroen DS3 WRC in the new WRC Trophy (the so-called "Privateers' Cup"). Andreas Mikkelsen, casualty from the Volkswagen crisis withdrawal, appears as a works Skoda WRC2 entry alongside Jan Kopecky while Eric Camilli, retained by M-Sport after the arrival in the team of Sebastien Ogier, has been entered by M-Sport as the team's official WRC2 entry. Hyundai reserve driver Kevin Abbring and Skoda driver Pontus Tidemand have been entered as non championship R5 entries. There are 12 entries in WRC2 (four each in Fiestas and Fabias, 2 in DS3 and one each in i20 and 208T16. there are six entries in WRC3 (four Clio turbos, and one each 208 R2 and C2 R2). There are four entries in R-GT, the three Fiat Abarth 124s already and Romain Dumas in a 4.0 litre Porsche. Even beyond the special changes this year, the rally retains its traditional fascination, with various old timer drivers reappearing to perform the safety car work (the "ice note crews") for the factory drivers. The usual special rules apply so far as tyre availability is concerned but the challenge to make the best choice of tyres considering that tyres on which cars leave service halts are unchanged through loops of stages, whatever is the variety of conditions to be tacked. This all concentrates the work of the weather forecasting. With every year more detailed "meteo" work is required. This year only Michelin and DMack will be supplying tyres to the four-wheel-drive cars in the championship. For their first official WRC entry in 14 months, Citroen Total Abu Dhabi WRT entered two C3 WRT as well as a DS3 WRC for Craig Breen. No particular surprises emerged in development from Monte Carlo testing, any minor issues arising from homologation would all be solved for Monte Carlo. There was a lack of snow during December testing but the team managed to find a white road for one day. Most of the Monte testing was done without the rear bumper, as spare parts needed to be kept for the rally! Chassis 1 and 2 were official development and test cars, 3 and 5 would be used in Monte Carlo. The main team personnel are familiar gathered from the three PSA brands. Future plans: Breen will drive a C3 WRC in Sweden, while Stéphane Lefebvre will drive an old DS3 WRC. Two official C3 WRC entries for the first three rounds of the WRC and Argntina, then either three of four on each event. Hyundai Motorsport entered i20 Coupe WRC cars chassis 1 for Sordo, 2 for Neuville and 3 for Paddon, running under the team name Hyundai Shell Mobis World Rally Team while Hyundai Motorsport N team entered an R5 for test driver Kevin Abbring. Development and Monte Carlo testing was carried out with two cars ALZ WR10 and ALZ WR101, no unexpected surprises emerge, helped by the input of experience of the past three seasons in developing the 2017 car. There were some issues on the way but the team is now happy with the car. There were no special individual homologation problems. The Monte Carlo is always a challenge because of the unpredictable conditions, tyre choices, etc. New stages always present new challenges but the team have learned to expect the unexpected from Monte. Future plans, three entries every round. Team personnel: The only important team personnel change this year is that Thierry has a new engineer, Stephan Siepler. M-Sport World Rally Team entered three 2017 specification Ford Fiesta WRC cars (distinguished from pre 2017 cars which were called Fiesta RS WRC) for Ogier (chassis 1) in Red Bull livery, Tanak in blue livery and Evans in DMack livery - which was running DMack tyres not Michelins. The team also entered Eric Camilli in an R5 as a WRC2 competitor. The team had used two development and test cars. The first car, the mule car, was a conversion from an old WRC car (popularly known in the team as "Geoffrey") and the second, chassis1, PX66 HVY, a new car (nicknamed "Don"). The team's existing 2016 specification World Rally Cars have been sold. One to Estonia, two to France and two to Italy. It is not yet known whether the new owners plan to run in the WRC Trophy. In development of the new car the team were constantly learning and always discovering new things, but there were no big challenges and nothing particularly unexpected. As for homologation there had been no problems with the car. Ogier and Tanak would carry special number plates this year  WRT 1 and WRT 2. The team anticipate no additional challenges on this event, just the usual Monte Carlo challenges, except the media pressure with the arrival of the four times World Champion in to the team! Engineer overseeing all three 2017 Fiesta WRC: Massimo Carriero  already heavily involved on the development alongside Chris Williams. Toyota Gazoo Racing WRT were thankful that their two test cars have been very reliable since the first tests which enabled them to complete the amount of kms done. There had been some issues which the team had worked on very carefully. The development time for Monte was quite short due to the work required to design the tarmac specification car, the whole team focussed on making the most of the time available. Regarding homologation there was inevitably feedback from the FIA's inspection. Apart from minor changes in line with the feedback, the final homologation package was based on the latest test development version. Cars to be used at Monte Carlo are 01 for Latvala and 02 for Hanninen. 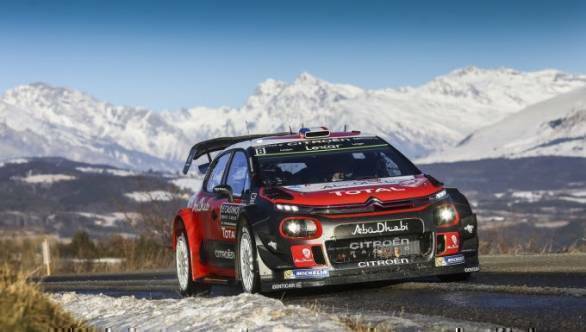 Team chief Tommi Makinen said "The most important thing is to go to Monte-Carlo with a relaxed and open attitude. It?s hard for me to say where we really are in terms of performance and it?s unlikely that Monte-Carlo will give us any definite answers either, as it is such a different event."